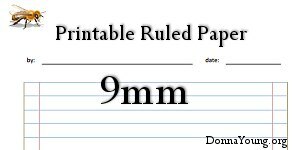 From this page you can print lined paper with two columns. These Printable papers are part of Donna Young's "by Columns" lesson planner set. Like the other planners in the by Column set, the files are available in both PDF and DOC. What are these types of papers for? Spelling lists? A daily lesson plan list for two children? Two grocery lists? There could be all sort of purposes for a two-column lined paper. The rule is just over 1/4 inch, (6.8mm). 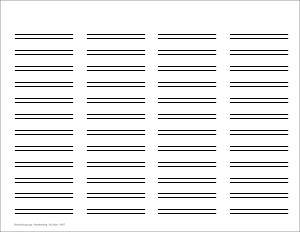 This paper has 34 usable lines; the first line is not counted. The rule is just under 3/8 inch, (9.3mm). 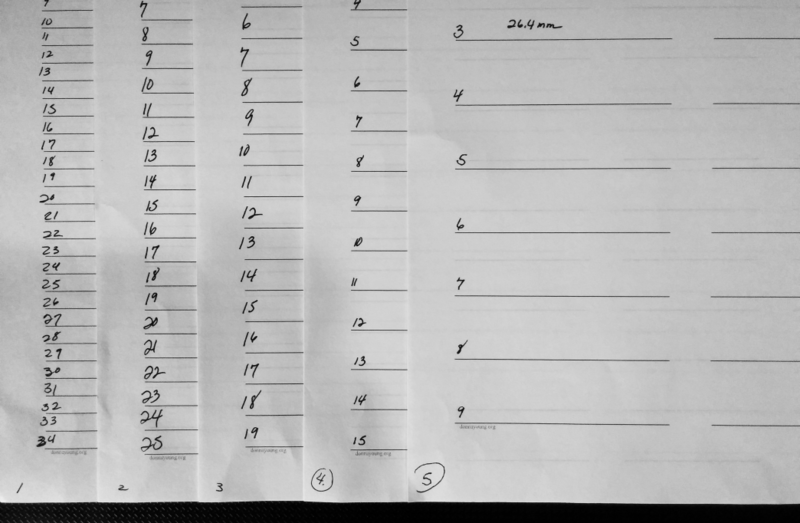 This paper has 25 usable lines; the first line is not counted. The rule is just under 1/2 inch, (12.1mm). The rule is just under 5/8 inch, (15.4mm). This paper has 15 usable lines; the first line is not counted. The widest rule, the rule is almost 1 inch (31/32), (26.4mm). This paper has 9 usable lines; the first line is not counted. Note: Clicking on the doc links might load your word processor inside of your default browser, making editing more difficult. Read how to get around that on the By Columns home page, 4th paragraph.